We have customers that have been so delighted with their Velux Skylights that they’ve asked us to come back again and again to install more. 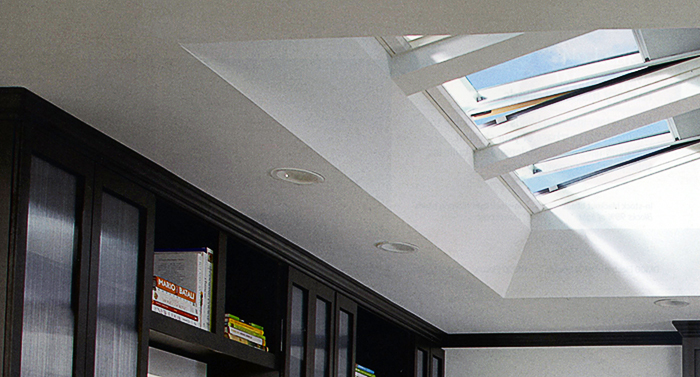 We install Velox skylights, the best on the market and the #1 skylight in America. The Velox Solar Powered “Fresh Air” Skylight uses LoE3 glass. They have a rain sensor that will close the skylight automatically when it starts to rain. Velox skylights come is a “no leak” warranty. Velox offers a huge variety of blinds in different patterns and colors; they can also be remote controlled. “Sun Tunnel Skylights” are offered by Velox – they allow just the right amount of natural light to come into your home at just the right location. Installing dormers is a great way to enlarge the living space within your home, without expanding its “footprint”. By adding dormers you can add a new room(s) to an attic area that did not exist before, and provide it with natural light. Your home will be easier to heat in winter and cool in the summer. If you already have a usable space on your upper floor, dormers will make it bigger. You will get more use out of the space and adding dormers will increase your home’s value.